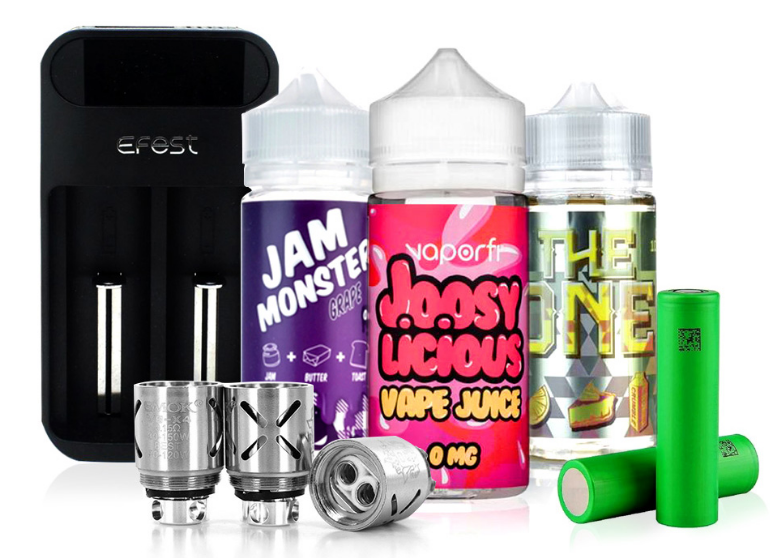 Aspire is known and revered for their incredible ability to create vape products that combine the latest technology and incredible user-friendly features. Case in point: their latest creation, the Aspire Pockex Vape Starter Kit, which presents exceptional technology packed into an incredible, compact all-in-one system. This setup is loaded with jaw-dropping appeal, and it features the power of a performance atomizer system that works with the innovative U-Tech Coil Technology. A wildly powerful 1500mAh built-in battery powers the device, which gets charged using the bottom-mounted micro USB port. A single button is used for functioning, while the device is overall powered through a direct voltage output system that works with the amount of battery life before determining the power output. The Pockex’s tank features a 2ml TPD-Compliant capacity, designed for maximum efficiency with its top-filling, leak-proof design. The tank’s coil is also top-loaded, ensuring replacement is easy and convenient. As a result of the U-Tech Coil Technology, specialized airflow is delivered in a unique U-shaped pattern, enabling some of the finest flavor output with generous airflow. Included is a PockeX 0.6 ohm 316L SS coil head, rated for vaping between 18 - 23 watts, resulting in performance especially geared towards those favoring mouth-to-lung vaping. Aspire is known for their dedication to technology and this setup is a fine example of technology and great functioning. If you’re after a pocket-sized all-in-one setup with plenty of power and many advanced features, this is it! Get your Aspire Pockex Vape Starter Kit from DirectVapor today! Together. I agree with the other Reviewers I know how dependable This product is. I started out with my first purchase and it was a Aspire Breeze and Breeze 2 & now I am going to try to test a lot more as my pocket book allows. Now I recently purchased a SMOK Nord,wow!!! Very easy and fun to be a go to great , descreet little number and before I forget! All these products I have owned long enough to be happy with my choices!! They all but (1) on the Breeze not Breeze 2 I had to change the U-Tech coils which depends on how much you Vape? That being said,! To those that have been Vaping. And beginners!! Which I am still learning and I always will,TRUST ME TO LET YOU KNOW THAT I AM REALLY HAPPY THAT I CHOOSE DIRECT VAPOR!! FAST FRIENDLY CUSTOMER SERVICE, PATENT, because I am kinda a pain in the back side but they treat me like I am more than a purchase and more like a friend. I really try to go with hardware from Aspire because they seem to have the most reliable technology. This is an excellent device that keeps me satisfied throughout the day. This is definitely a very good starter kit that’s powerful enough to last all day. I have had no complaints since I started using this.